While cleanses, supplements, and restricted diets are generally the protocol for dealing with a Candida overgrowth, it’s also important to make sure that the foods you are eating are helping your cause. There are a number of foods you can add to your diet that are great for fighting a Candida overgrowth while at the same time adding flavor and variety to what you probably feel is a very limited selection. Ginger is a root that has long been used to support the immune system and the digestive system. It has a detoxifying effect and is said to soothe inflammation. You can grate some into your food for flavor or boil it in water for a soothing tea. Ginger does have a strong taste, so err on the side of caution until you figure out how much you like. Cayenne is another spice that is known for supporting the immune system as well as the digestive system. It is also believed to increase circulation and your metabolism. 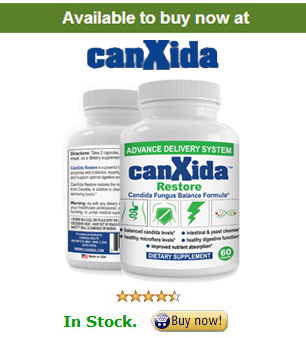 An increase in metabolism will help you to combat the fatigue that so often accompanies a Candida overgrowth. Coconut contains substances known as Caprylic acid and Lauric acid and is known for being a natural antifungal. It adds a very subtle flavor, which makes it great for cooking. It’s inexpensive and has a long shelf life, plus you can safely eat 2-3 tablespoons of this healthy fat each day. Garlic has been used as an antifungal for decades and will also help to boost the good bacteria in your digestive tract. It also acts as a detoxifier. Add some finely chopped garlic into your food or crush it and drink it with water to help fight your Candida overgrowth. Just don’t eat it on an empty stomach. People tend to shy away from rutabaga because they think it’s a root plant like a potato, but it actually has quite a number of antifungal properties. Boil it until it is soft and eat it mashed or season it any other way you’d like (within the diet protocol, of course); cut it into fries to bake in the oven; or add it to your veggie broth. Add this to your diet in small quantities and make sure the die-off symptoms it causes aren’t too much for you to handle. Did you know that onions act as a diuretic, helping to flush fluids from the body? A lot of people with Candida issues tend to retain water, so this anti-bacterial and anti-parasitic food packs a major punch, addressing several issues at the same time. Try to eat them raw, but if you just can’t handle it, slice them and bake them in a tiny bit of coconut oil with some spices. Delicious! Seaweed is finally starting to gain some recognition as the super-food it really is, packed with powerful nutrients that will help to balance your thyroid, flush toxins, and cleanse your digestive system. There are several types out there, so make sure you try several varieties. They key is not just soy, but fermented soy. Despite people who think soy is completely awful for you, soy actually packs some powerful nutritional benefits and the fermentation process adds some good bacteria to the mix. Consider tempeh, natto, and miso. They’ll give you extra protein as well. Any vegetable that has been allowed to ferment and grow the lactobacilli bacteria can be added to your diet and will help to add good bacteria back into your digestive tract. You can ferment, or pickle, all sorts of vegetables, including carrots, cabbage (sauerkraut), onions, and beets. Give it a try. Yes, the anti-Candida diet is limiting, but it’s not the end of the world. As you become healthier and stronger you’ll be able to add more foods back into your diet, and hopefully by then you’ll be interested in experimenting with fresher, healthier options.